The Rouse Simmons was a three-masted schooner which sank in Lake Michigan in a violent storm in 1912. 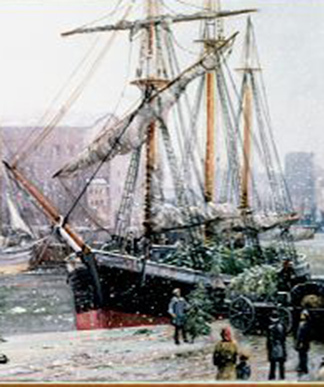 The ship was bound for Chicago with a cargo of Christmas trees when it foundered off the coast of Two Rivers, Wisconsin, killing all on board. Shown at the Dossin Great Lakes Museum. Running Time: 35 minutes. Admission is FREE.